"About 32 leading men of the community," according to the original minute book, assembled December 24, 1883, in Malvern Hall for the purpose of "starting a National Bank of Malvern." Prior to that in a letter dated December 18, 1883, John J. Knox, Comptroller of the Currency, approved and authorized a National Bank here with a capital of $50,000. 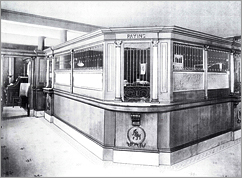 The Bank opened for business on April 7, 1884. 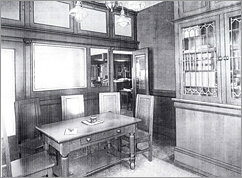 Charles C. Highley, the first officer, began a family tradition of bank operations that continues to this day. The Bank received from the Comptroller of the Currency $16,000 in currency notes in denominations of 10s and 20s. This paper currency was received by the Bank in uncut strips and unsigned. The local Bank then cut the strips into individual notes and the President and Cashier then signed each note. While the faith of the United States government was strong, the early builders of the Bank had some doubts. The original building was built to double as an apartment house if the Bank failed to succeed. The Bank DID succeed, however. 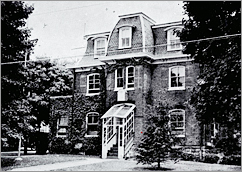 It has conducted business in this building on the corner of King Street & Warren Avenue in Malvern, PA, since April 1, 1887. George Norman Highley served as President from 1951 to 1952 and 1967 to 1978. The Willits Family, direct descendants of Charles C. Highley, original Cashier, still lead the Bank today.